With Crime Thriller Fella’s summer readership flatlining faster than Jessica Fletcher’s Christmas Card List, it’s time to take a short break to catch some rays and recharge the batteries. I’ve really enjoyed doing this blog over the last few months, and I’ve been amazed and gratified by the reaction to it. I’ve learned a lot about writing, and the blog has introduced me to some brilliant new authors. There’s nothing more dispiriting, more likely to bring a lump to the throat, than a slowly-stagnating blog page, so I’m going to put up some archived reviews and other stuff, starting below. But feel free — if you’re new here, or just really love wasting time — to take a look around. Think you know about crime thriller writers? Have nothing to contribute around the dinner-party table? Amaze your friends with some astonishing facts about the genre’s leading authors… First up, the woman who has sold more books than anyone, with the possible exception of God. 1/ Agatha Christie wrote her first book after a dare by her sister Madge. The Mysterious Affair At Styles was turned down by six publishers. Since then, she’s sold about four billion novels. That’s four billion. She’s only outsold by The Bible. 2/ Christie famously made the headlines in 1926 when her car was found abandoned. She was missing for ten days. Her disappearance made the headlines, and Sir Arthur Conan Doyle even trotted out one of his mediums in an attempt to find her. She was discovered staying under an assumed name in a Harrogate Hotel. The incident has never been fully explained – she refused to discuss the incident – but it’s suggested Christie suffered a nervous breakdown following the death of her mother and the discovery that her husband had had an affair. She was booked into the hotel under his lover’s name. 3/ The final Miss Marple and Poirot books, Sleeping Murder and Curtain, were published in 1975 and 1976, but were actually written in the 1940s and kept locked away until Christie’s death – there’s forward thinking for you! In the event, she died in 1977. 4/ Curtain is a controversial end to the career of Christie’s Belgian detective – and the book ends with a vicious little twist. When Curtain was published in 1975, Poirot received an obituary in the New York Times, the only fictional character to have done so. If you haven’t read it, you’ll be able to see what the fuss was about when ITV broadcasts it as the final episode of the long-running David Suchet series. 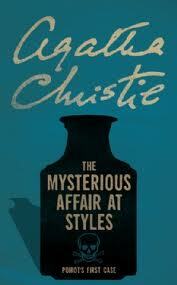 5/ Christie grew to dislike her most famous creation, but the public’s appetite for Poirot never dimmed. By the 1960s, she had descended to name-calling. She regarded him as a “detestable, bombastic, tiresome, ego-centric little creep.” Christie claimed to have seen him twice, once while taking tea at the Savoy. 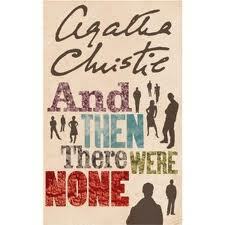 6/ And Then There Were None is Christie’s bestselling book, with 100 million copies sold since 1939. Ten people, all implicated in murder, are invited to a remote island, and bumped off, one by one. Arguably, this concept has been used as a template again and again in countless slasher movies. 7/ Christie wrote romantic novels as Mary Westmacott, a pseudonym she managed to maintain for twenty years until it was discovered in 1949. It was as Westmacott that she reputedly wrote a whole novel, Absent In The Spring, over a weekend. 8/ Her play The Mousetrap opened at the Ambassadors Theatre in London on 25 November, 1952, with Richard Attenborough and Sheila Sim, and, of course it’s still running. One cast member has survived all the cast-changes down the years. Deryck Guyler can still be heard reading the news bulletin. 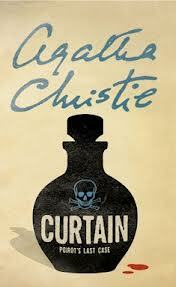 9/Christie was irrirated that the last of the four Margaret Rutherford Miss Marple films – Murder Ahoy! – wasn’t based on one of her novels. It was a flop at the box-office, much to the spurned author’s delight. 10/ When Christie died in 1976, London’s West End theatres dimmed their lights in respect. For a the top ten best Christie novels, as listed by Agatha expert John Curran, go here. This entry was posted in Criminal Minds, Site News and tagged Absent In The Spring, Agatha Christie, And the There Were None, Arthur Conan Doyle, Curtain, David Suchet, Hercule Poirot, Mary Westmacott, Murder Ahoy!, Richard Attenborough, Sheila Sim, Sir Arthur Conan Doyle, Sleeping Murder, The Mousetrap, The Mysterious Affair at Styles on August 12, 2013 by Crime Thriller Fella.